I wrote this little ditty last March in a shameless attempt to use March Madness to get published on McSweeney’s Internet Tendency and because, well, because I was in grad school and had nothing better to do. Ah, halcyon days. Since McSweeney’s didn’t want it, you get to read it on my blog every March from now until eternity! Enjoy this oldie but goldie! The Mythological Monster Madness bracket is set, but not all competitors are created equal. We break down the field to separate the real contenders from the pretenders in this year’s edition of the greatest sporting competition in the mythological history of the world. Expect the imperial Chinese Dragon to wear down Nepal’s Yeti with waves of cultural hegemony and feigned friendly diplomatic overtures, setting up its famed “Maoist backdoor cut” all day long. China has to be seen as favorites to win the whole tournament as its greatest symbol of power is backed up by the deepest bench in the field, 1 billion-plus Chinese laborers. If Japan can get past Australia’s Drop Bear, it could be a tricky match up for the Chinese Dragon thanks to Pikachu’s electric conductivity making it highly flame retardant. 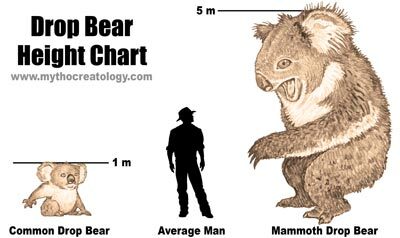 That will be no easy feat, though, as Drop Bear – a giant, flesh eating koala – will look to down Pikachu like so much eucalyptus. The Selection Committee dealt a crucial blow to Japan’s hopes when it denied Pikachu’s appeal to evolve into Raichu, stating that Raichu did not appear on Japan’s official roster. England once again brings a big reputation and little substance to the tournament as the Pixie relies exclusively on its strategy of leading opponents to the woods and leaving them there lost, which should pose no problems for Scotland’s Unicorn – a native of woodland habitats. The Unicorn is the only competitor that is not only its nation’s most prized mythological creature but also the actual national animal. Bald Eagle doesn’t seem so great anymore, does it? The only thing standing between Scotland and a title run is the Unicorn’s blood – instant immortality will make any opponent that drinks it a real challenge. A potential Final Four match up with Vladimir Putin could spell international disaster should the Russian Dictator, er, President get hold of the Unicorn’s horn. Lacking the wisdom and strategery of the Chinese Dragon and relying more on brute force, the Welsh Dragon boasts perhaps the best offense in the field. However, Ireland’s Leprechaun will look to exploit the Welsh Dragon’s uncontrollable gold lust with its own damnably-frustrating-to-steal pot o’ the shiny stuff. Should Ireland advance, it would surely fall to Scotland. 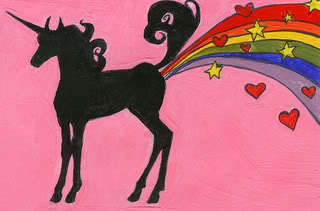 The Unicorn’s ability to completely disorient the Leprechaun by farting a maze of rainbows would nullify its famous shiftiness. What, we ask, is more mythological than Vladimir Putin? This legend has hugged polar bears, rode horseback shirtless through the Siberian wilderness, shot whales with a crossbow, saved a TV crew from an escaped tiger, flown on a hang glider with migratory cranes and distracted the world from his impending invasion of Ukraine with a little event symbolizing world peace known as the Olympics. 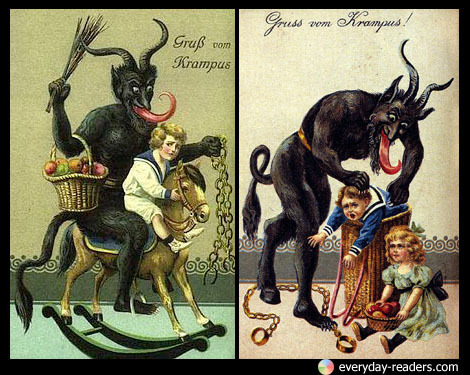 After an excellent season of terrorizing Alpine children, Austria’s lovable horned pseudo-Pagan-Christian Christmas demon Krampus stands little chance against the world’s greatest living myth left after the passing of North Korea’s Kim Jong-Il. What better creature to survive the labyrinth of the world’s most competitive conference tournament than the Minotaur? Besting such rivals as Cyclops, the Titans, Hydra and Cerberus to make it this far, the “Cretan Beacon” is a strong hope for perennial power Greece. However, the brutal Greek Conference left the Minotaur bloodied and vulnerable after Theseus beheaded it in the waning moments of the league championship game. Having no head with which to see should play right into the paws of Germany’s Wolpertinger, the deer antlered, bird winged rabbit-wolf creature whose main skill involves hiding from drunken Bavarian hunters. The former child street urchin and cocaine addict is worshiped as a god by many in his soccer loving nation. The people call him Golden Boy and Hand of God, but his most famous nickname came from a radio commentator who wondered aloud on air after a Maradona goal, “Cosmic Kite, what planet have you come from?” The egomaniacal mighty mite’s greatest power is perhaps his unflinching hyperinflated belief in his own legend. 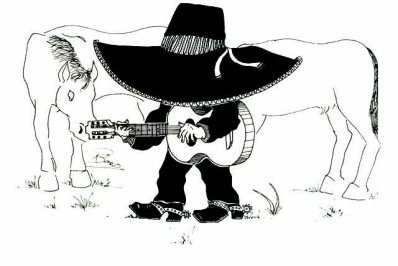 Underdog El Sombreron from Guatemala is the feel good story of the tournament, a silver guitar-playing bogeyman in a big sombrero who stalks women by ceaselessly serenading them, trying to braid their hair, and putting dirt in their food so they’re always hungry and can’t sleep. Unfortunately, those skills mirror Maradona’s, and El Sombreron doesn’t kick a soccer ball nearly so well. America’s best hope was squashed when the Selection Committee ruled that Chuck Norris was not eligible for mythological competition because all acts of greatness ascribed to him were, indeed, 100% factual. That opened the door for the upstart goat-eating Chupacabra out of Puerto Rico, the first tourney contestant to carry the flag for an imperial overlord. Egypt back-doored its way into the tournament by virtue of an American archaeologist’s early 20th century theft of a cursed mummy. The Committee ruled that the Mummy’s 100-year residence in the basement of a small New York college library qualified it to compete on behalf of its original nation in its new home region. The Mummy is coached by the legendary Anubis, Egyptian god of the dead, and may be able to upset Maradona in the second round by convincing him of the benefits of embalmment. 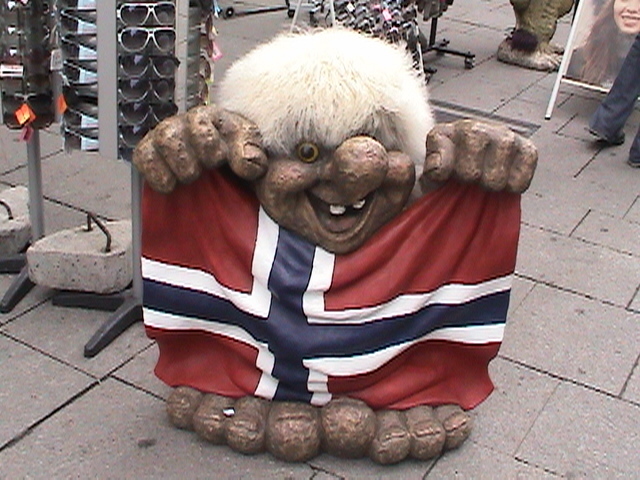 The struggles in recent years of Norway’s legendary Troll have led to a drastic drop in fuzzy-headed troll keychain sales as its stock falls faster than Duck Dynasty ratings, leading some to label it the Kentucky Wildcats UCLA Bruins1 of mythological sport. Perhaps the strongest mythological entity to be left out of the field in centuries. The Polite Frenchman is so rare that it is rumored the Committee extended him a bid, but he was never located to accept it. Africa’s mythological sport leagues continue to languish under the Eurocentric Selection Committee bylaws excluding these nations from competing on the grandest stage. A history of racism and bias against oral folklore once again casts a shadow over this great tournament, and we expect more African nations will follow Egypt’s lead finding alternative routes into the field through gross cultural appropriation by Europe and the United States. To wit, former NBA star, Old Spice pitch man and Dikembe Mutumbo Saves the World hero Dikembe Mutumbo is rumored to be in training to compete on behalf of the Democratic Republic of Congo next season. 1 Boy, how times change fast. When I wrote this in March 2014, Kentucky was coming off a first round NIT exit and slipped into the 2014 NCAA Tournament as an 8 seed. One improbable run to the tournament final and an undefeated season later, I couldn’t pass on updating that out-of-date cheap shot. Posted on March 18, 2015, in Uncategorized. Bookmark the permalink. Leave a comment.